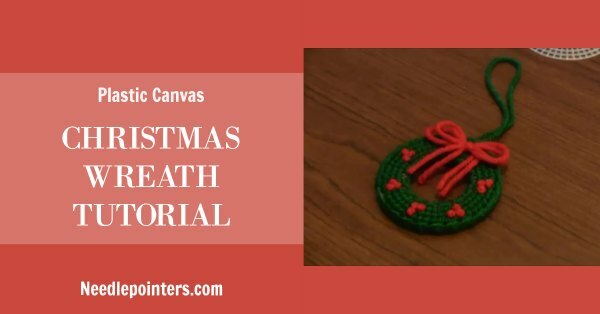 Brighten your holiday home by sewing some easy Christmas wreaths with plastic canvas. 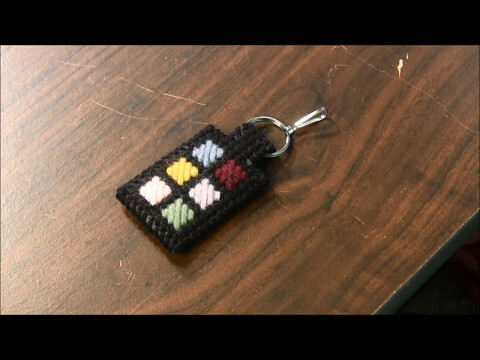 This simple and free pattern is a great craft for all ages, so get the whole family involved. 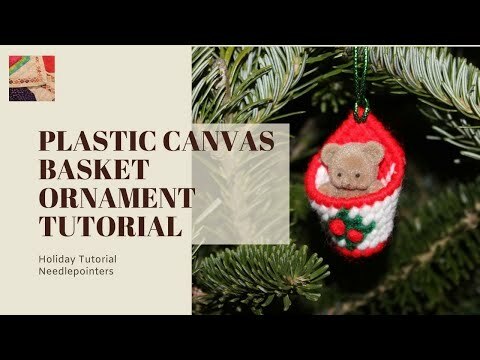 Click to watch the Christmas Wreath Ornament (Plastic Canvas) video in Youtube. Cut out the center of the circle leaving 4 rows of holes on the outside edge. On front piece, work 5 bunches of French knots. 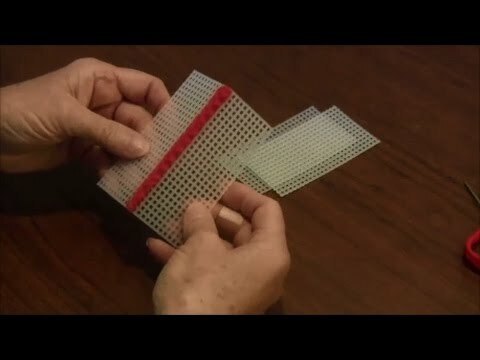 Place the two pieces with wrong side together. 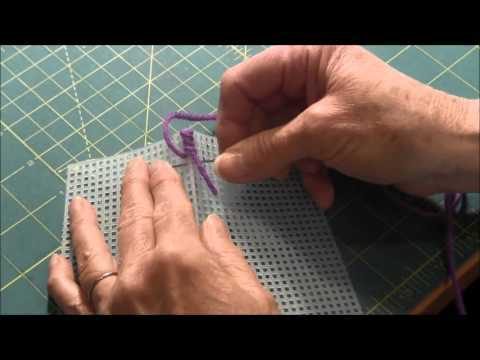 Join the pieces together either using the whipped stitch or the variation to the long-legged cross stitch. 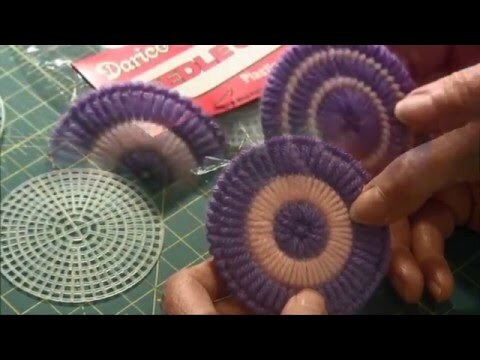 You will find links to video tutorial for these stitches below. 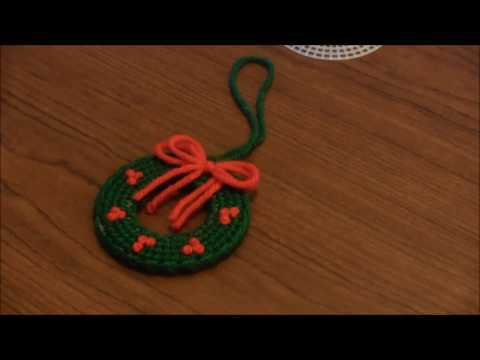 Tie 2 10” pieces of red yarn or a 10” pieces of ribbon into a bow and attach to the front of the wreath. 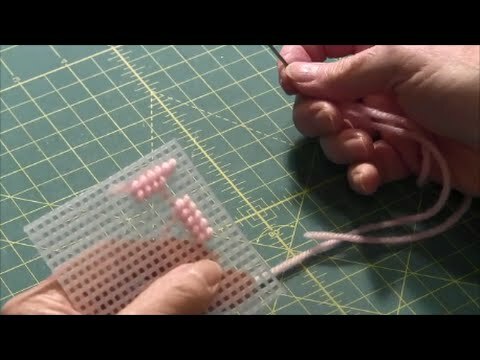 (Hand sew it in place). Attach a loop for hanging.